Ireland Photo Gallery - Holy Cross Abbey at Thurles. 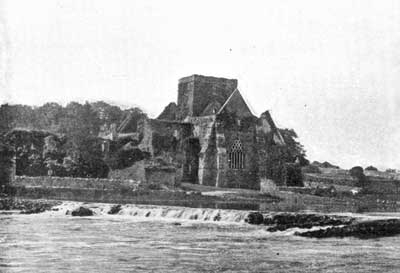 Holy Cross Abbey at Thurles. The name of Laurence Sterne, author of "Tristram Shandy," and of the gorgeous Countess of Blessington, are both associated with Clonmel as their birthplace. Through a mountain cut, appropriately called "The Wilderness," the railway line runs aside to Thurles.